The Ocean and Earth Surfboard Multipurpose Rax Soft Rack from Ocean and Earth is the perfect way to transport your board to the ocean. 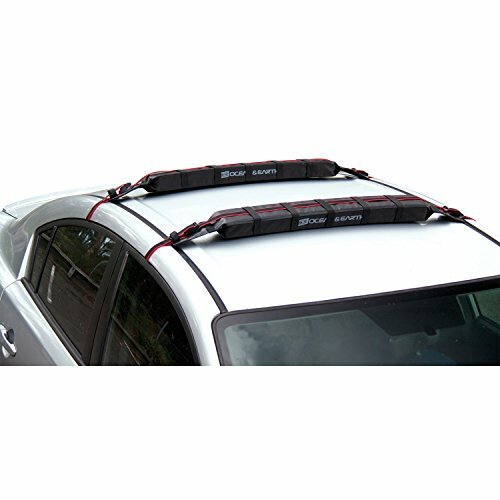 Keep the back seat of your car clear for friends and stash the quiver up top. Make sure your prized possession gets to the beach in one piece with the help of this Ocean and Earth Surfboard Multipurpose Rax Soft Rack! View More In Surfboard Racks. If you have any questions about this product by Ocean & Earth, contact us by completing and submitting the form below. If you are looking for a specif part number, please include it with your message.